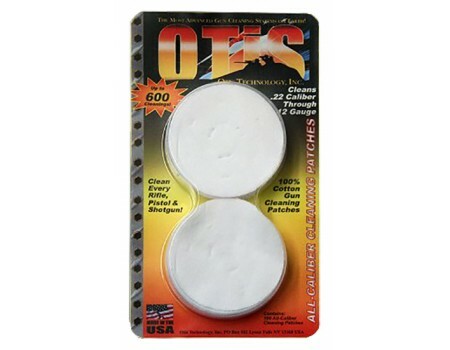 Otis' cleaning patches is 100 percent cotton and can be used up to 6 times, offering 6 new clean surfaces. It is unique in that one patch cleans all firearms from .25 caliber to 12/10 gauge. When attached to a slotted tip, they form a perfectly circular cleaning swab to allow for 360 degree coverage.This model is 3" and comes in a pack of 100.